Are your hormones causing your acne? In short, yes - most acne may be traced to fluctuations in hormone levels, especially androgens (male hormones also known as testosterone), and their power to over stimulate sebaceous glands. As acne results from inflammation caused by sebum clogged hair follicles (pores) and bacteria, ruling out the factors that cause over production of sebum is very important. Treatment will help your body to negotiate or even eliminate the hormonal imbalance. A common misunderstanding is that men have testosterone and women have estrogen and progesterone; the truth is that both males and females have a balance of all three hormones. In fact, one of the most popular causes of hormonal acne in women is having high levels of androgens (male hormones). This type of acne is even called androgenal acne. Men also may have too much FREE testosterone or too much estrogen in their bodies. How do hormones influence acne? The primary cause of the formation of acne is a fluctuation in androgens (male hormones) and in particular testosterone, DHEAS (dihyroepiandrosterone sulfate) and DHT (dehydrotestosterone). Elevation in these hormones work as a force that can lead to over secretion by the sebaceous glands and the onset of acne formation. In adult women, the fluctuation of hormone levels may occur both temporarily and for a long period of time. The mid-cycle of the menstrual cycle is often associated with the highest level of estrogen and androgens. After ovulation, progesterone levels increase which can also stimulate sebaceous gland secretions. Your emotional highs (happiness) and lows (stress) can also stimulate the hormones. Hormones are thought to be responsible for acne in a significant percentage of pregnant women during the third trimester when the sebaceous glands are over stimulated, causing oily skin and frequent breakouts. Coming off of oral contraceptives and the post pregnancy period are other times when hormones fluctuate, often leading to adult acne. Some women even experience acne after menopause, when estrogen levels begin to taper off and testosterone becomes the dominant hormone. 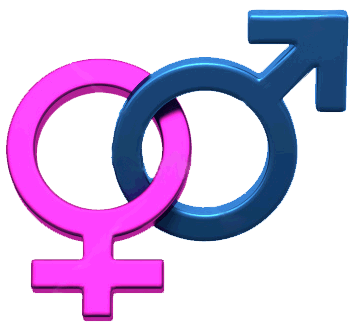 Having higher than normal levels of androgens (male hormones) may also contribute to hormonal fluctuations. Like the ladies, your hormones fluctuate from the highs and lows of life and are even stimulated by exercise and by your DNA as a man. This fact, coupled with the fact that men simply have more testosterone, means that male acne is harder to treat. On average, guys don't take care of their skin as well as their female counterparts and they also play more sports and sweat more, which may contribute to making male acne more severe, persistent and difficult to treat. For women with hormonal acne, one approach that is being prescribed quite often is oral contraceptives (OC) to modulate the endogenous levels of both female and male hormones. Unfortunately, this solution carries several side effects such as potential blood clots, high blood pressure and other potential problems accumulated over time (especially if birth control is used longer term). Obviously, the use of OC is not an option for men or teenagers. For women with androgen induced acne, an alternative approach is the use of Spironolactone (Aldactone®), which is routinely used as a potassium sparing diuretic by inhibiting water resorption in the kidneys. It just so happens that Spironolactone also inhibits aldosterone secretion by the adrenal gland and is reported to have anti-androgen effects. Aldactone will only be effective if your acne is androgen induced, and may carry some longer term side effects. Guys face a more difficult situation (often combined with a need to alter their lifestyle and skincare), and are more often targeted with the highly toxic Isotretinoin (Accutane and generics), and broad spectrum antibiotics that carry their own potentially serious short and long term side effects. In addition, antibiotics only actually deal with selected symptoms of acne (they may limit growth of bacteria and inflammation) but do not eliminate real causes of acne. AcnEase® is a natural, clinically tested Botanical Therapeutic® acne treatment that can be customized for all types of acne, and prevents acne from coming. Not to mention, we have 751,213 success stories to back us up. As an all-botanical natural medicine, AcnEase® specifically inhibits the impact of fluctuating hormone levels on sebaceous gland secretions. 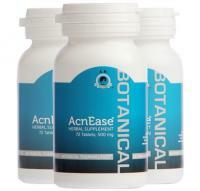 AcnEase® does not affect hormone levels per se, but rather modulates their effect on sebaceous gland secretions. This mechanism of action helps explain why AcnEase® is equally effective in treating adolescent and adult acne in both men and women. Cystic acne in women is often associated with increased levels of androgens. AcnEase® has proven to be highly effective in the treatment of women with cystic acne further supporting the product's ability to inhibit hormonal influence on sebaceous gland excess production of sebum. AcnEase® is the safe alternative for women that stop taking OC in order to start their families, and experience acne flare-ups. AcnEase has also been recommended for women that have recently had children or those who breastfeed and are experiencing changes in their skin with periodic acne. For men, AcnEase® helps the body to balance free testosterone and to heal and PREVENT both facial acne (including cystic acne), and body and back acne (which are both quite prevailing and severe in males). Most importantly, AcnEase is safe; and by addressing the causes of acne, it prevents future outbreaks, allowing your skin time to clear and begin the healing process for skin scars and acne marks. It has NO phytoestrogens (estrogen like plant extracts), and is gluten free and chemical free. Don't know what type of acne you have? Check out our Personal Smart System, which will show you easily in 3 seconds!